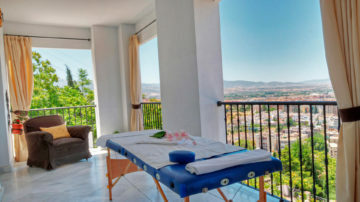 Lookout which can enjoy panoramic 180 degrees. A place that will surprise you with its magic, its charm, for the elf hides in each of its corners. 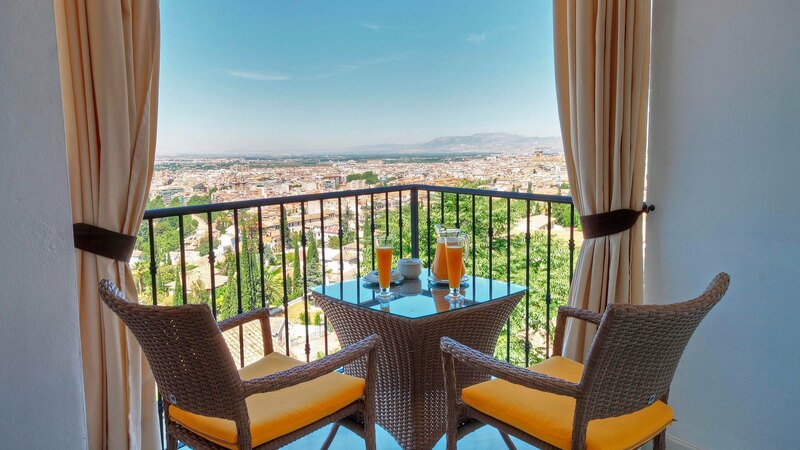 To have breakfast watching the sunrise turn delight with a magnificent view with an aperitif. 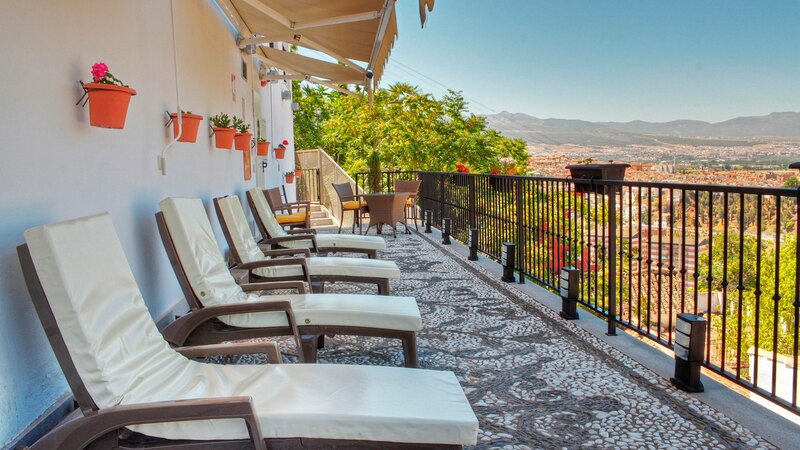 It also offers the possibility of tasting menus with advance reservation, ranging from typical food from Granada to food author (creative). Both possibilities are spot for romantic dinners. The hotel offers a wide selection of wines. This viewing deck also host meetings for small groups. Enjoy the rooms overlooking the city of Granada Hotel Arabeluj with a design and unique environment. 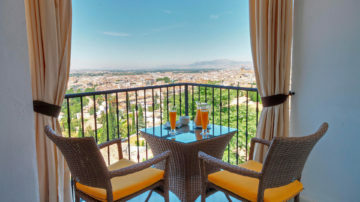 This charming hotel is located at the foot of the Alhambra with stunning views of Granada city and Sierra Nevada. Very quiet away from the noise of the city to enjoy a vacation or a romantic getaway. Completely new and decorated to the last detail for a memorable stay.